Comprehensive correction of nose bumps and deformity issues, without the need for invasive surgery. HSA Dermal Clinic is proud to offer an extensive range of cutting-edge treatments for nose bumps and deformities, performed at our state-of-the-art facility at the heart of London. We understand and acknowledge how nose bumps and shape issues can have a detrimental impact on the lives of those affected. If the shape of your nose causes confidence issues, it is difficult to enjoy complete quality of life. Irrespective of the cause and nature of the nose bumps and deformity, it is now perfectly possible to implement effective and lasting corrections, with absolutely no invasive surgery required. We offer an extensive range of non-invasive treatments to quickly and effectively address nose bumps and general shape issues. Whatever it takes to restore confidence and pride in your appearance, you can count on the team at HSA Dermal Clinic to make it happen. Call today to book an obligation-free consultation. 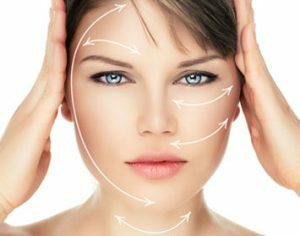 HSA Dermal Clinic specialises in the latest advances in nose bumps removal, replacing traditional cosmetic surgery with the latest non-invasive procedures. With absolutely no surgery required, we can quickly and effectively correct even the most severe nose bumps and deformities at an affordable price. Nose bumps removal is often sought by those with genetic traits that result in a nose shape the respective individual consider is undesirable. In addition, bumps on the nose can be caused by a wide variety of injuries or underlying conditions. In all instances, it may be quicker, easier and more affordable than you’d expect to go about effective nose bumps removal, using nothing more than dermal fillers and other non-invasive treatment options. Here at HSA Dermal Clinic, we always go the extra mile for every client we work with, consistently exceeding expectations at the most competitive price. For more information or to discuss the available options in more detail, contact a member of our team today to book your consultation.